Jyotsna Srikanth and Bollywood Brass Band at St George’s Bristol presented a stunning collaboration on Sunday 30 October. Mixing funky brass, drums and virtuosic violin, they performed music to accompany wonderful Bollywood film sequences on the screen above them. 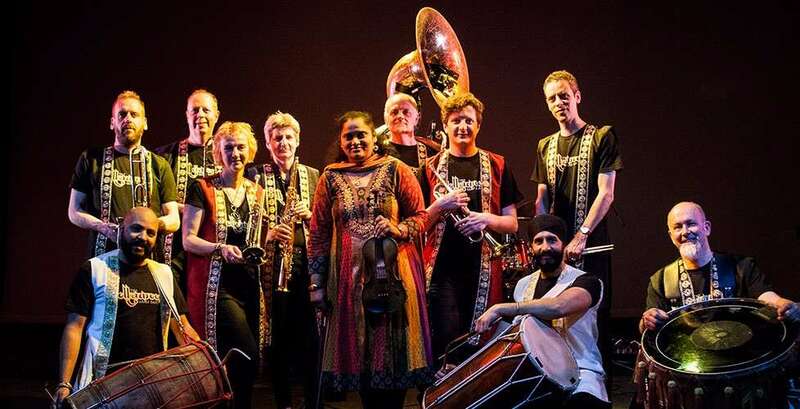 The concert, co-presented by Asian Arts Agency and St George’s Bristol, is part of a UK tour promoting the new album Carnatic Connection. You can find out more about the album and the tour here. We have uploaded some photos from the night on our Facebook page.